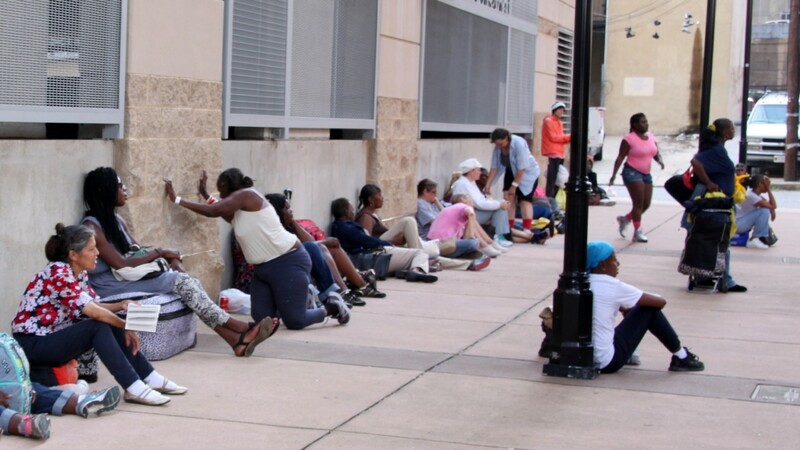 Battered by bad news on homelessness – a homeless man found dead outside City Hall, an encampment clearing that drew criticism, the high-profile Tent City protest – the Pugh Administration is finally releasing its comprehensive strategy to deal with the problem. Mayor Catherine Pugh has scheduled an announcement of her plan on Wednesday. The news was welcomed by advocates and members of the “Mayoral Workgroup on Homelessness” that Pugh convened in April. “We understand she will be making some commitments related to the recommendations in our report,” said Ingrid Lofgren, of the Homeless Person’s Representation Project, who was a member of the group. “We offered her some broader strategy recommendations and some key priorities,” said Logren, part of a group that included city officials, advocates, homeless service providers and persons experiencing homelessness. Among the group’s recommendations was that the city should “invest in new permanent housing and show stronger leadership in leveraging those investments in a way previous administrations have not,” Lofgren said. Pugh’s announcement comes long after the workgroup’s report was completed. At a July 26 news conference, the Mayor remarked in an aside that she was taking the group’s report home to read over the weekend. The Brew asked the Pugh administration to release the document, but the mayor’s press office never responded. In the two months since then, homeless people and their advocates took dramatic steps to push Pugh to take action. 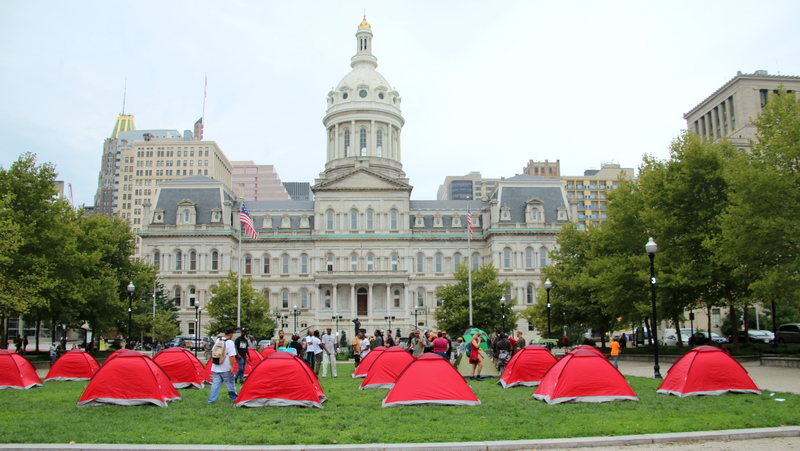 Pitching 20 red tents on War Memorial Plaza in front of City Hall, the group staged a protest they called Tent City to call on Baltimore to do more to help citizens struggling with joblessness, homelessness and lack of affordable housing. After 10 days on “Pugh’s front lawn,” 55 people associated with Tent City agreed to decamp and be transported to a former school building in West Baltimore, where they still remain.